Ahead of the Premier League clash with Tottenham Hotspur on Sunday, we look at five of The Reds' best wins at Anfield over Spurs. Tottenham Hotspur might, finally, have their new stadium but they’ll have to wait a little longer before playing there. This Sunday, Liverpool welcome Mauricio Pochettino’s struggling side to Anfield, where the Reds will be looking to extend Spurs’ four-game winless run. Ahead of the match, we look back on some of Liverpool’s best Premier League wins against Tottenham at Anfield. Sunday’s match will take place five years and a day after this trouncing, which took just a matter of minutes to get going in the Reds’ favour. Glen Johnson, careering down the wing on the overlap, put in a low cross in the second minute, that deflected off first Jan Vertonghen and then Younes Kaboul, and into the net. It didn’t take long to score a second, again coming from a Spurs error at the back. Michael Dawson’s poor pass played in Luis Suarez, who did what he did so often at Anfield, and put it into the back of the net. The second two goals came after the break, with Philippe Coutinho adding to the lead on 55 minutes. Twenty minutes after that, current skipper Jordan Henderson scored directly from a wide free-kick that Suarez and Daniel Agger both dummied, bamboozling the hapless Hugo Lloris. The match in 2014 wasn’t the first time the Reds have soundly beaten Spurs 4-0 at Anfield in the Premier League, though. This game in 1997 saw four different scorers put goals past Iain Walker in the Tottenham goal, although all four came after half-time. Despite ending the first half goalless, Liverpool struck two in the first five minutes of the second half. Steve McManaman got the first, with Oyvind Leonhardsen doubling the lead two minutes later. Leonhardsen, coincidentally, would join Tottenham after leaving Liverpool in 1999. Two more familiar names got the final two goals, Jamie Redknapp striking just after the hour-mark, with Michael Owen rounding the scoring off four minutes before full-time. The Reds’ last home league win against Tottenham took place over two years ago, last season’s tie at Anfield having ended in a 2-2 draw. 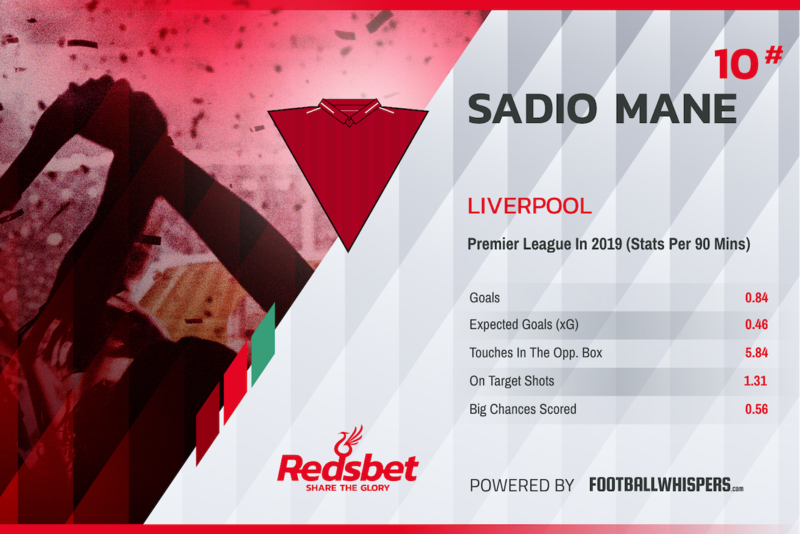 Sadio Mane is in great form now, and he was in great form back then as well, bagging both goals in this match with a quickfire 11th- and 18th-minute double. The Senegal international has scored seven for the Reds in his last five matches in all competitions. He’s shot up to equal-second in the Premier League golden boot race, alongside Mohamed Salah on 17. Is this previous victory a sign of things to come this weekend? The older of Liverpool’s big home league wins against Tottenham have tended to feature a mix of familiar and less common goalscorers. This 3-0 win was one of those, with Mark Gonzalez bagging one of his two league goals in his year-long Liverpool career to open the scoring of this tie. It had taken just over an hour to get the breakthrough, but once it came there was no stopping Liverpool. Just ten minutes later, Dirk Kuyt added a second, and John Arne Riise got a third late on. Late goals in these fixtures, it seems, is a pattern. With ten minutes remaining in this tie, the first Anfield meeting between the two teams in the Premier League era, the score was just 3-2. Ian Rush and John Barnes had put Graeme Souness’ Reds ahead before Teddy Sheringham pulled one back just before half-time. Steve Harkness restored Liverpool’s two-goal lead just after the break and things looked to be going well, but with 17 minutes to go Steve Sedgley pulled one back. But then Liverpool went into top gear. Mark Walters converted a penalty in the 82nd minute, before Rush and Barnes got their second of the game in the 85th and 88th.